As the weather turns cooler, visitors traveling to Spain in November will want to look for more cultural activities in lieu of lying on the beach. Despite the colder weather, though, there are still plenty of November events in Spain worth exploring on your trip. While iconic events like the Tomatina Tomato Fight or Pamplona Running of the Bulls take place earlier in the year, you can still expect to find religious, film, and jazz festivals in Madrid, Barcelona, and the outlying areas of the country throughout the month. Whether you head to the major cities like the capital, Madrid, or you head out to more remote, scenic destinations like Puerto de la Cruz in the Canary Islands, you're sure to find something exciting to do no matter where you go in Spain this November. 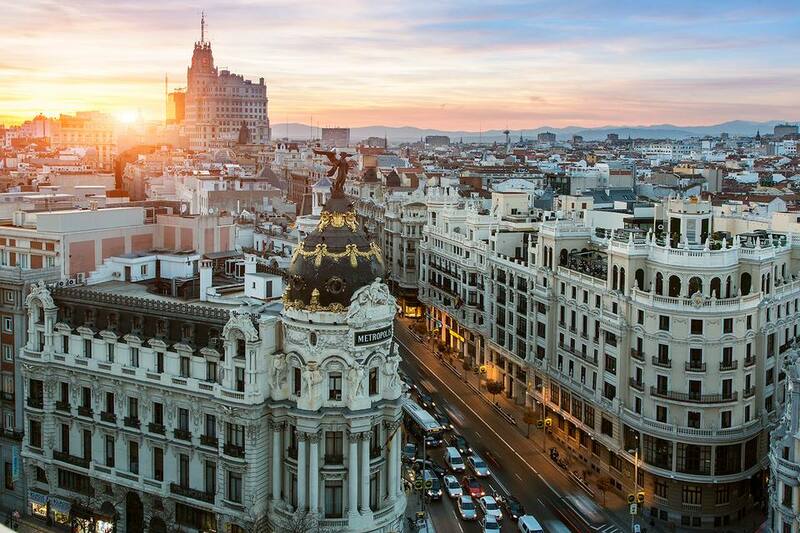 In Spain's capital city of Madrid, you'll have no problem finding things to do. Along with a vibrant nightlife scene and plenty of great foods to enjoy, the city bustles with annual events each November. However, since November is the shoulder season for tourism in Madrid, most of this month's celebrations are centered on celebrating local culture, heritage, and art. The Madrid Dance Festival is a Spanish favorite, as is the Madrid Jazz Festival — which takes place most of November. In addition, Madrid also hosts a few film festivals this month including the International Gay and Lesbian Film Festival and the ALCINE Film Festival in nearby Alcala de Henares. Barcelona comes a close second to Madrid as the best place to visit in Spain in November. Although considerably warmer than its northern counterpart, Barcelona has fewer events to enjoy this time of year. However, you could take advantage of the crisp fall weather by taking an art studio tour to explore the city's world-famous artist community. Among the many events throughout the area, you can take in a film festival and a jazz festival this month. One of the biggest jazz events in the world, the Voll-Damm International Jazz Festival will take place at various venues in Madrid from early October to late December. If you're looking for a way to escape one of November's rainy days, head over to the L'alternativa Independent Film Festival during mid-November to catch a screening of one of the latest European independent movies. Potes is a small town that is rarely on tourists' radar, but its Orujo Festival in November is definitely worth checking out. Orujo is the Spanish version of Italy's grappa, a type of brandy made from the solid part of the grapes that remains after they are pressed. At the Orujo Festival, you can sample some of the potent aguardiente (firewater) and see how it is made. While in Potes, you should also take the time to sample other local dishes like cocido lebaniego (chicken stew from Liébana), Picón cheese, and a black pudding called borono. Potes is also close to the Picos de Europa mountain range where you can go hiking to enjoy the crisp fall weather. Granada is an excellent place to explore any time of year, but November brings with it the International Jazz Festival of Granada, which runs throughout the month. Started in 1980, it's one of Europe's oldest jazz festivals and has attracted top musicians such as Herbie Hancock, Miles Davis, Dizzy Gillespie, Wayne Shorter, and Oscar Peterson over the years. Rich in history and located in the foothills of the Sierra Nevada mountains, Grenada is home to tons of medieval architecture including royal palaces from the 1100s, government buildings from the Moorish occupation, and lush orchards and reflecting pools from the Nasrid dynasty. Granada is also known for its delicious tapas, and you can take a walking tapas tour to expand your culinary horizons while taking in the scenery of the city. If you want to take in some warm weather in Spain this November, the Canary Islands are your best bet. Not only can you still enjoy the beach this time of year, but you can also book a tour of the town's best landmarks or enjoy a bit of the rowdy nightlife scene of Puerto de la Cruz. Toward the end of November, Puerto de la Cruz in Tenerife hosts the San Andres Festival where the Arrastre de Los Cacharros (dragging of the pots and pans) takes place. It's a noisy and chaotic event accompanied by festive drinking because it also coincides with the opening of the season's new wines.